GIFF starts this weekend – log your Will Attend now! The smell of popcorn in the air, gnomes dancing everywhere… it can only mean one thing: It’s time for the 2017 Geocaching International Film Festival! From November 2-6, the 17 never-before-seen GIFF finalist films will make their international debuts on hundreds of screens all over the world. Some GIFF events will be cozy—like this outdoor GIFF barbecue party in Tokyo. Some events will be extravagant—like this Spanish movie night hosted by one of this year’s finalists. All GIFF events will show this year’s hilarious, dramatic, and poignant geocaching films. And if you need one more reason to love GIFF: attending any official GIFF event will earn you the GIFF 2017 souvenir! 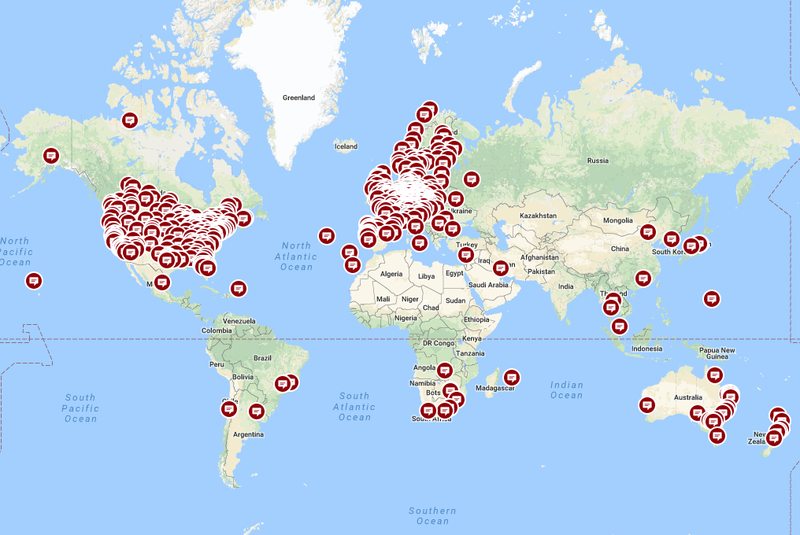 Don’t miss your chance at popcorn, films, and GIFFy fun… explore this live map of all official GIFF events to find one near you.